Smoothies are one of my favorite ways to load a few fruit and vegetable servings into one tasty package. There’s a certain sense of accomplishment in getting one or two servings each of fruit and vegetables in before 10am. Smoothie bowls take that one step further – with the addition of a few blend-in ingredients and toppings, you can make them into even more of a complete, nutrient-packed meal. 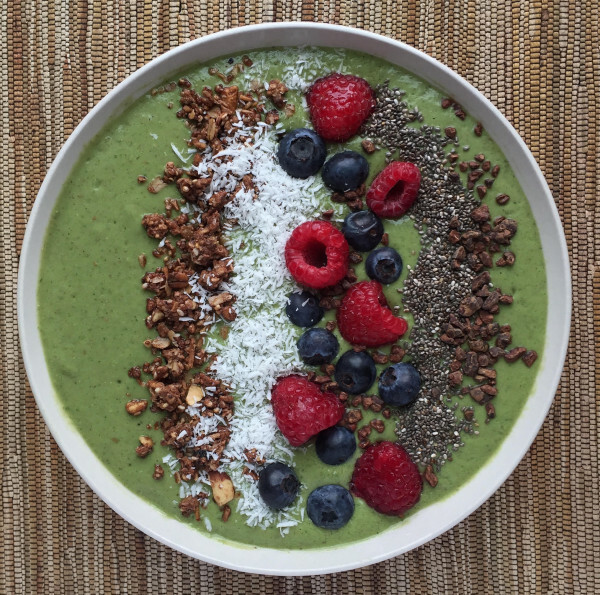 This antioxidant filled green smoothie bowl features ingredients with many anti-inflammatory, immune-strengthening benefits. Avocado provides healthy fats and contributes to the thick, smooth texture. Bananas and berries add natural sweetness, thus no added sugar or sweetener is needed. Nut butter offers some extra protein, while chia seeds provide fiber and omega-3 anti-inflammatory fats. The bright green color comes from spinach; you can also substitute kale or chard depending on your taste preference. Power up the bowl with even more nutrients by adding a few of the topping options below. 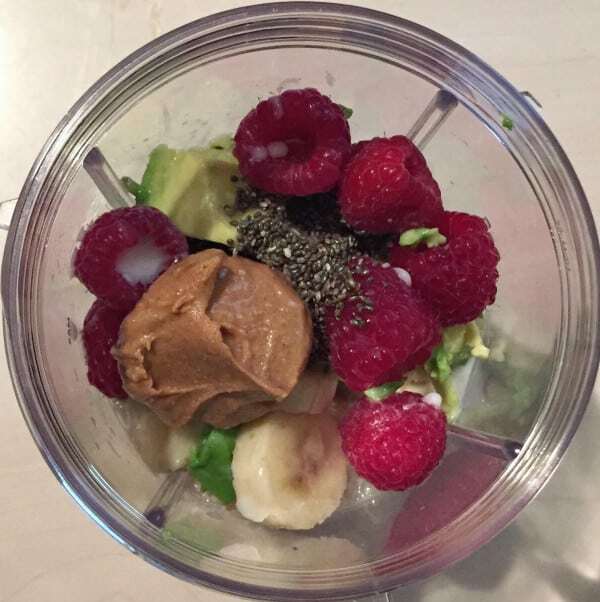 One last tip: save time in the morning by putting all the ingredients into your blender the night before, except the liquid. Keep your blender in the fridge overnight; in the morning add liquid and blend! 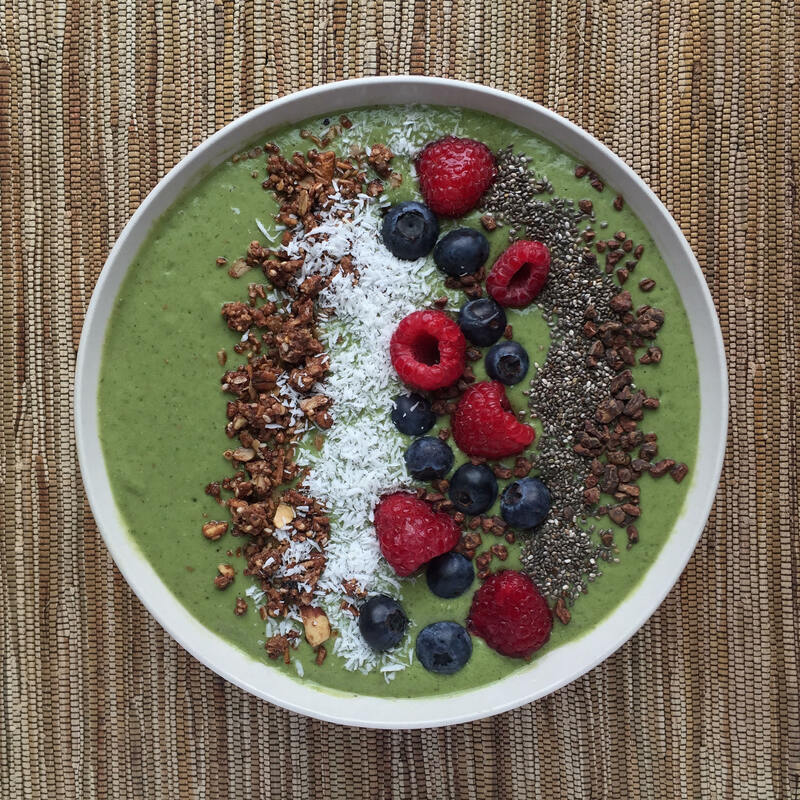 Put all smoothie ingredients in blender, blend until creamy and smooth. Add more milk as needed to thin it to desired consistency. Divide between three bowls and add toppings as desired. This recipe was originally created for Trovita Health – click here to view. This looks yummy, great recipe, can’t wait to try it, thank you for sharing!